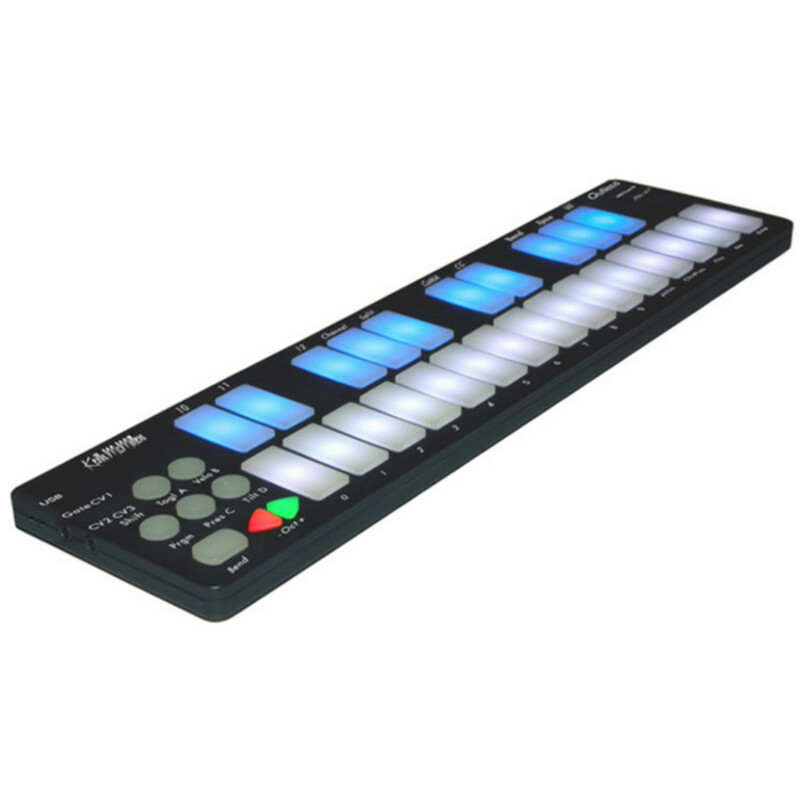 The Keith McMillen Instruments QuNexus Smart Sensor keyboard controller has vividly illuminated keys, making it fun for beginners as well as a must for professionals. The blue and white LEDs have 16 levels of brightness to give you valuable feedback, and the 25 Smart Sensor keys detect finger pressure, velocity and tilt for an unprecedented degree of musical control. The toggle/hold feature can be used to build chords and create your own step sequencer or arpeggiator with LED feedback. Powered by USB, the QuNexus is compatible with iPad and Android tablets as well as Mac OS, Windows and Linux. It can also be used to directly control MIDI hardware with the addition of the KMI MIDI Expander, and the included CV inputs and outputs let you control modular synthesizers. The octave selector buttons give the QuNexus a seven octave range.